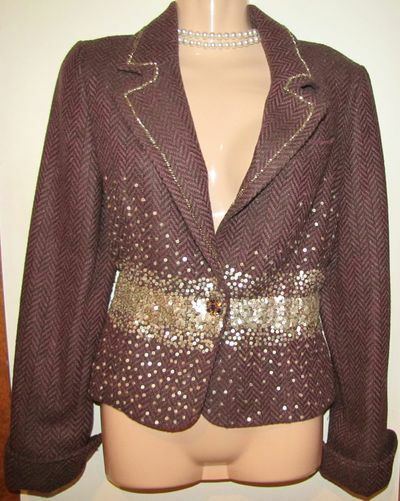 This is a beautiful, vintage, herringbone design, wood blend, fitted True Meaning jacket with tons of sequins and gold beading. 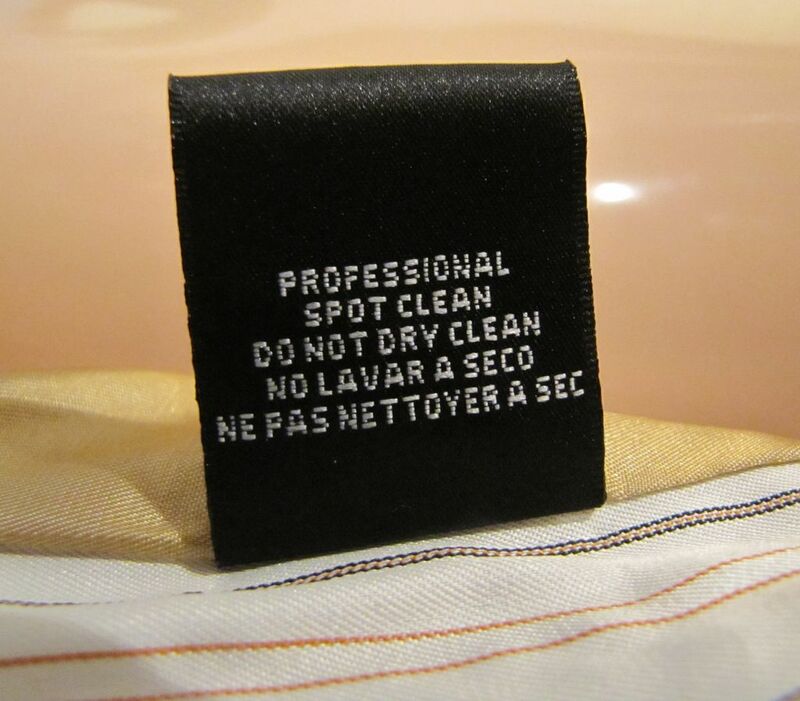 I believe the designer is True Meaning (from my research). The design and fit are very chic and classic with the silver colored sequins being strategically placed to create a gradient design and classic look. The jacket can fit a 6 or size 8. 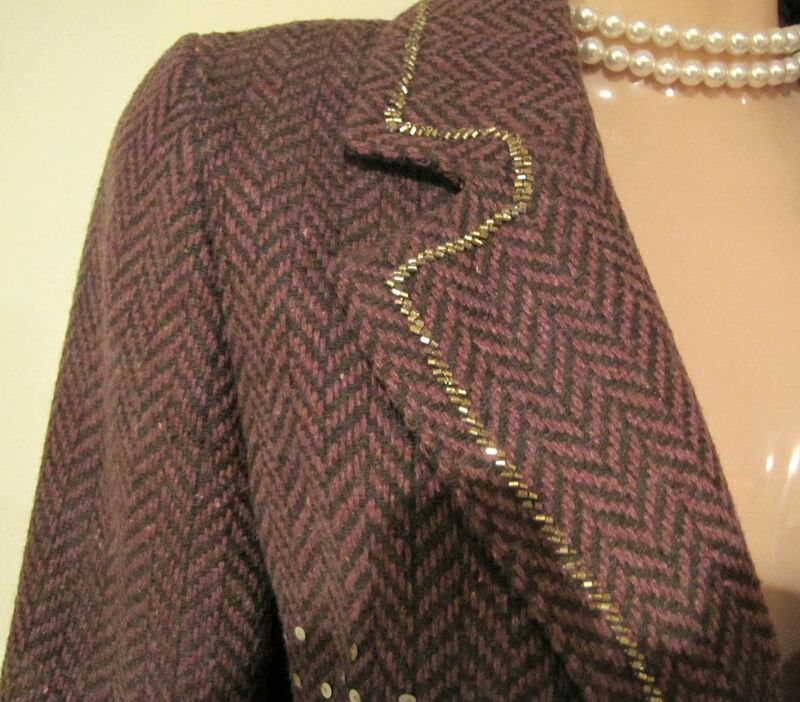 It has a soft, muted, mauve pink and black herringbone design. There is a snap with a gorgeous, multi-colored, swarovski button. 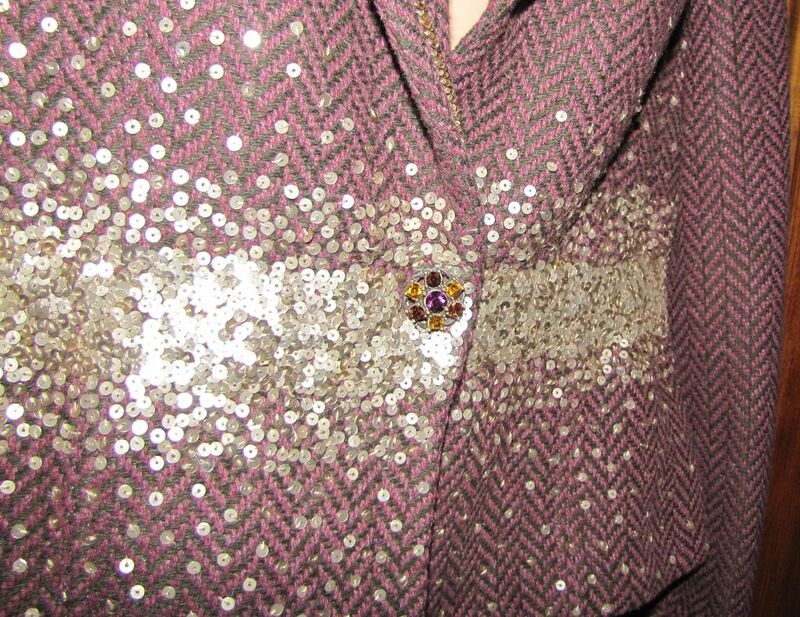 Around the color and down the lapel are hand-applied gold colored beading. It is lined with silk fabric. The measurements are as follows: Bust 36"; waist 32"; top of shoulder area 14" from shoulder to shoulder. The length is 21" and the sleeve is 25" completely unrolled and is adjustable. It has a very soft feel and lays nicely with a tailored fit. This jacket would look great with either a good pair of jeans or black dress pants or skirt.